I recently went through my backup files on an external hard drive as well as boxes of archived images from my time at PassageMaker. I ran across an image folder labeled, “My trip to Anacortes.” It was one of the last times I flew to Seattle to visit various places with both Bob and Polly Lane. Bob was our West Coast editor for many years, and his wife assisted in our production in many ways. Both were retired newspaper journalists, living in Anacortes, and we were so lucky to know them. David Livingston Jr (Dave Sr’s son) leaning on his Aunt Lin’s (Dave Sr’s sister) back to apply a decal on the new tug. I met Bob at his home and we drove over to visit Northern Marine to check out a couple of other projects that might fit our editorial focus. Later in my trip, we drove back to Seattle and then down to Kent to visit Ranger Tugs. We arrived just as they were putting the finishing touches on a new Ranger 25 Tug. I’d known about Ranger Tugs for years, of course, and in 2003 I received a CD from three tug owners. 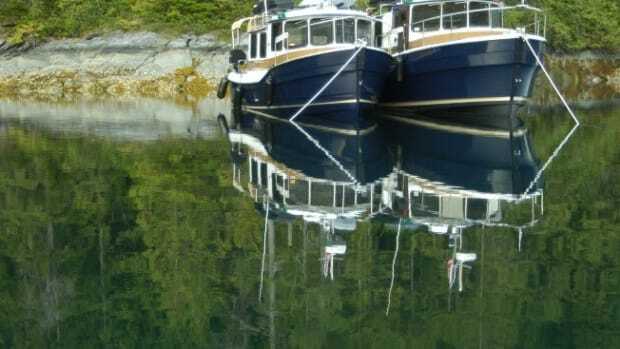 Labeled, “The Three Amigos,” it contained images of these hardy souls who each owned a Ranger 21, as they traveled together for two months to explore Southeast Alaska from Puget Sound. They became quite an attraction on this trip. 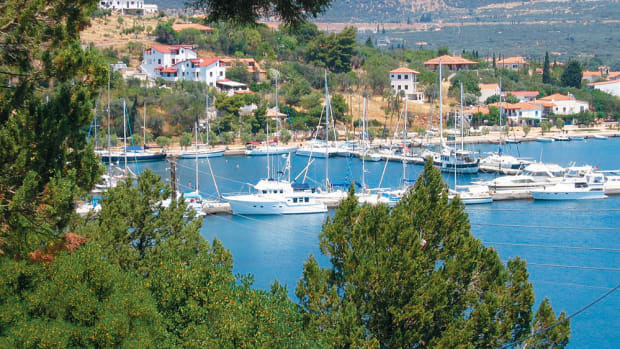 People were amazed at the hardiness of these boats and men. A few years ago, I ran into Patti Moore at a marina in Stuart, Florida. She is co-owner of Sea Sense, a hands-on school that teaches couples safe boating and how to positively get into cruising. Patti was on assignment with an older couple from Toronto, who decided to buy a boat rather than throw away their remaining years reading books in their city condo. They went to the Toronto Boat Show and fell in love with a Ranger Tug. Patti was showing them how to run their boat properly (their first boat together), and she’d been aboard with them running the boat down to Stuart from Canada. Patti remained as a teaching crew for the partial return north. My neighbor has a red Ranger 21, and he and his scruffy little dog, Gus, often go out on a whim, year-round, chugging off to explore the surrounding creeks of Whitehall Bay here in Annapolis. It was fun looking at those 2006 images of the Ranger facility in Kent, and the crew putting the last touches on a 25-foot tug, just wheeled out of the shed. I knew things had changes a lot since then and decided to look at where they are today. 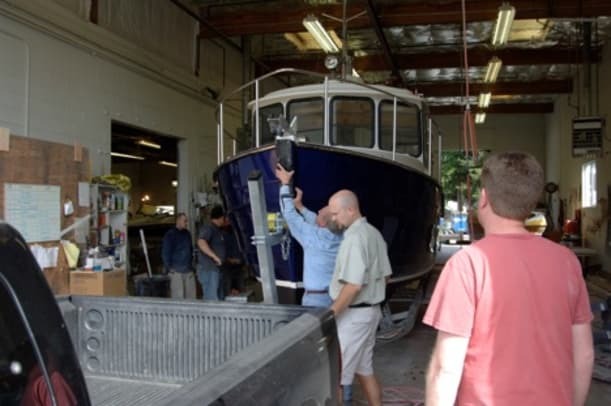 I called Sam Bisset, Communications Director of Ranger Tugs and Cutwater Boats about the photos, and to get a brief update on the amazing success story of this Washington State boat builder. What I saw in 2006 hardly compares to the company today, although it remains a successful design coupled with value-focused, solid boat building. There are now six facilities that build these boats, which are sold around the world, all built in Washington. And the company prides itself on its community of customers. Their niche owner’s group is a vital element to their success, and the folks at parent company, Fluid Motion, embrace the relationship wholeheartedly. A more recent shot of the crew building Ranger Tugs. 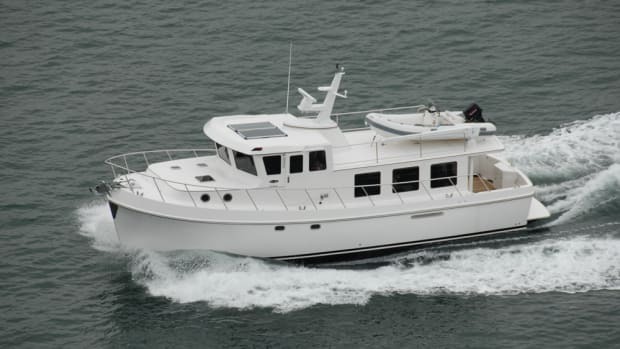 In response to customer feedback and requests, for example, the company expanded the line of cruising boats with the Cutwater line, similar boats in many ways to the Ranger Tugs, but with more contemporary looks and performance aimed at younger buyers still working. 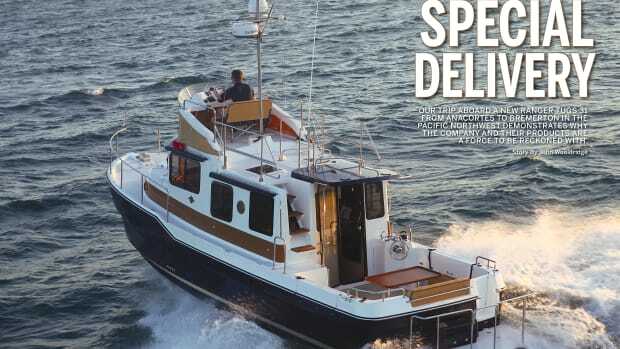 A new Ranger 27 is due out next year, but it will no longer have the appearance of that classic tug style. Both Ranger Tugs and Cutwaters have the tremendous versatility that comes from being easily trailered. No matter where the owners live, it is but a road trip away to Florida, The Keys, or Mexico’s Sea of Cortez. Smaller is often better. This company continues to prove that. The 2016 Ranger Tugs/Cutwater Boats Rendezvous. 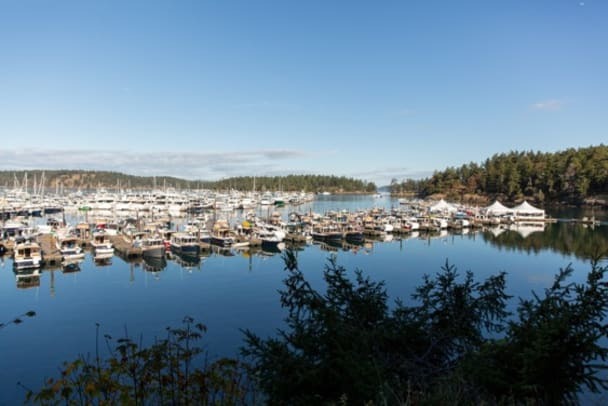 To show how things have progressed from 2006 to 2017, the 2016 Ranger/Cutwater rendezvous in Roche Harbor attracted 157 owners and boats, many coming from across the country for this event. 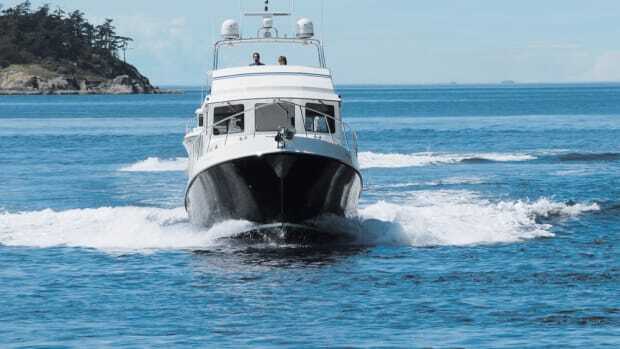 And last year, Fluid Motion was the largest marine OEM for both Volvo Penta (diesel engines) and Garmin (electronics). “I’m proud to look at this photo from over 10 years ago and realize that although we’ve opened several more factories since then, and now manufacture two brands of boats that produce 13 models and variations between them, we still keep our head office in that same WWII Quonset hut that you see there in the background. We still sit down with our customers to sign paperwork at the same kitchen table that has sat in the middle of our office for many years. 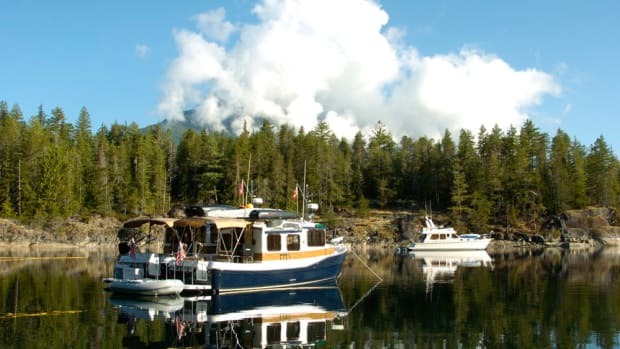 Fluid Motion (maker of Ranger Tugs and Cutwater Boats) is truly a family business. It was started that way and it remains that way today. One of the things we always say is that you’re not just buying a boat, you’re joining our family. “We’ve worked hard and we’ve been very fortunate. We still have many of the same talented people here building boats that started with us all those years ago. We are a company that focuses its attention on relationships and community just as much as we do designing and building boats. It’s been important to us to scale with that in mind. Not only do we sell exponentially more boats today than we did when that photo was taken, but our local Puget Sound organized cruises and rendezvous have grown to be the biggest in the region, and in the case of our big factory rendezvous, we think, the biggest in the world! 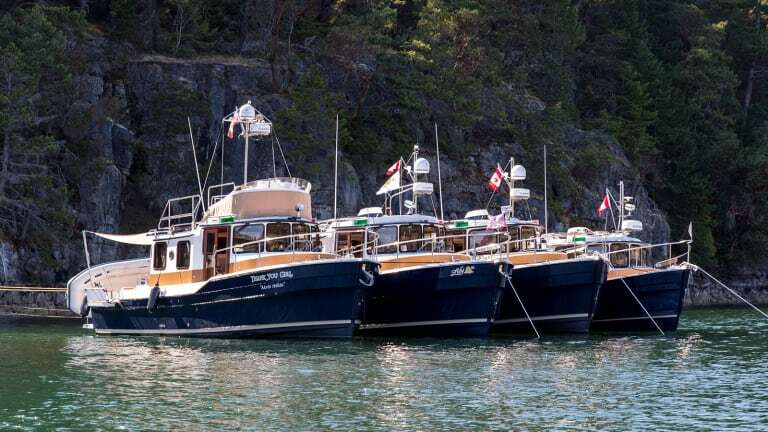 We had nearly 160 Ranger Tugs and Cutwater Boats on the dock at Roche Harbor Marina last summer. We had customers trailer their boats across the country to come spend a weekend with us and the rest of the family. 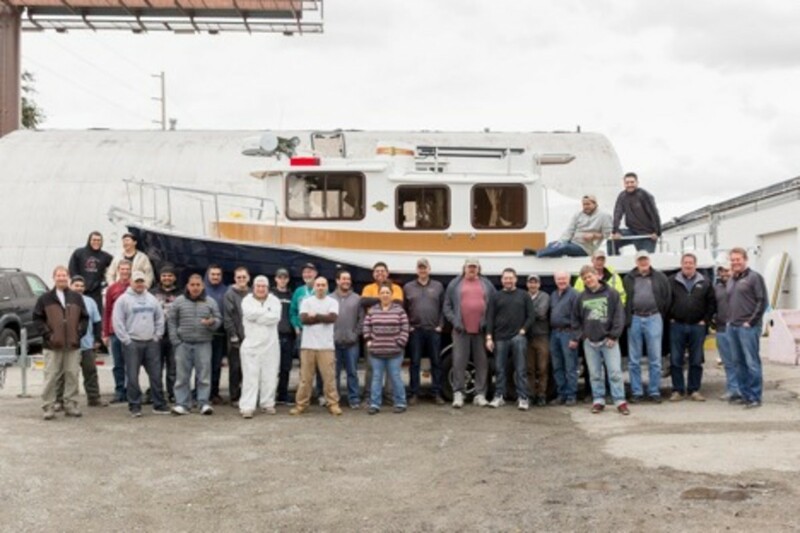 It’s a very special group of people that make these boats, and it’s a very special group of people that enjoy them. Congratulations to a successful decade and we wish this family company well as it continues its journey, in the good company of its growing owner community.